I’ve signed up to do the Cadel Evan’s ride in late January next year, a mere eight or so weeks away so I really need to start focusing on my training. I’ve done a few long rides in the past including the JDRF Barossa ride which is 160 km, and Melbourne’s Around the Bay which is 210 km, so I know I can ride the 111 km I’ll be required to complete. But I know I’ll enjoy the ride a lot more if I undertake sufficient training. I also know that after the Cadel ride I’ve also got a few other 100 km plus rides early in 2016 which I’m committed to ride, so the training won’t be a once off. 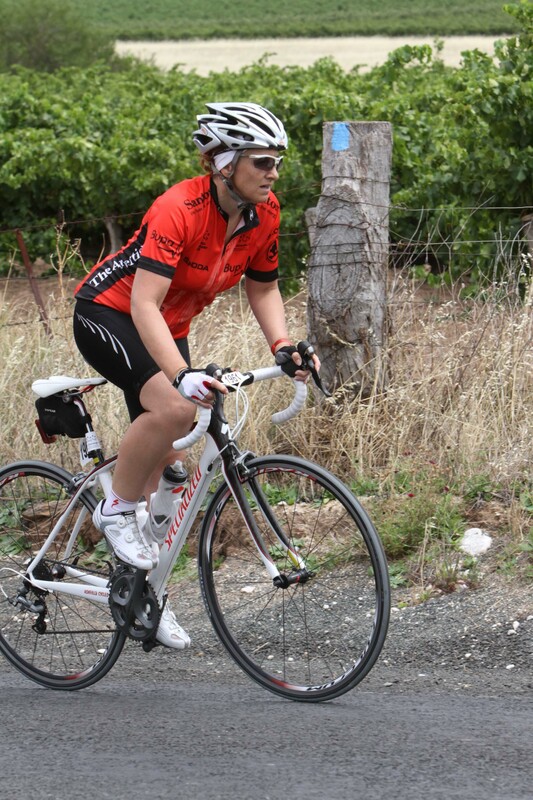 It’s a great incentive for me to get really focused on my fitness and even my riding skills. You don’t need sophisticated software or online subscriptions to plan your own training program. You can use Excel, or a table in Word, or even a notebook & pen. Plan how many rides you can do within your typical week and negotiate with your partner/husband to make sure you share the domestic duties. Work backwards from the event. I plan to complete at least two 100 km rides before the Cadel ride so I will probably do these three and two weeks out. Before that I will gradually increase my longest weekly ride (usually on a Sunday for me) from my typical 50/60 km to 80 km or so. My other rides will stay typically around 25-30 km but I will increase from two rides during the week to three, giving me a total of five rides per week. Sounds exhausting doesn’t it. If in doubt do some internet searches for training plans. Most big organised rides will include a suggested training plan on their websites, and while you probably won’t want to follow it precisely it will give you some good tips for planning your own. Ideally like me you’ll have some of your friends completing the ride with you so they’ll be keen to undertake some training rides with you. But if you don’t know any one else who is completing your ride then you can still find some buddies who might want to join you on some longer rides. There’s no greater incentive to get out of bed at 5 am than a promise to meet a friend for an early morning ride. You just have to adjust your sleeping patterns to accommodate those early starts. I know I’m biased because I work in a bike shop but I recommend you get your bike serviced when you are embarking on your training program. A lot of riders get their bike serviced a week or so before the big event but it’s also important to prepare your bike if you’re increasing your riding. Then get it checked over before the big ride. 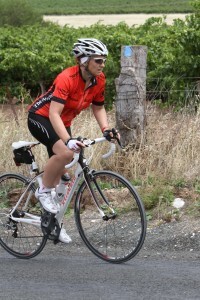 Check that you have the appropriate bike riding gear to undertake a longer ride and training program. This includes suitable apparel, a helmet in good working order, emergency supplies like spare inner tubes, a pump or CO2, and check that your tyres will go the distance. You should also make sure that your bike is suitable for a long ride. A road bike is definitely the best stead for this type of event but you should make sure it is also the right size for you. A ill-fitting bike is going to make you very sore and uncomfortable on a long ride. If, like me, you’re travelling for your event, make sure you book your accommodation and transport well in advance because there’ll be lots of other people doing the same. I’ve booked airfares and a friend has booked the accommodation for the Cadel ride. If you’re travelling with your bike then make sure you know how you will pack it and check your airline booking for baggage allowances. Next Post:Should I buy a road bike with disc brakes yet? Nicola, perfect timing with these hints. I’m just back from 6 weeks leave (no riding there) and in the lead up now for the Buppa at Tour down Under (8 weeks away!). it’s a shame the Buppa ride in SA and Cadels ride are on the same weekend – I’m sure I’ll have some fun in SA and you’ll have a blast with Cadel in Vic. Good luck with your preparations. These are great trips! It’s such a great thing when you have training buddies to prepare with. I’ve always believed that doing so can only help you go beyond what you expect of yourself. And, of course, researching about the event and the trail could also be of big help in the preparation.